Dan Abrahams worked as a consultant psychologist for Derby County in 2016 and 2017 after being hired by Mel Morris to assist Darren Wassall. SBW spoke to him to find out how he found working for Derby County, and the psychological reasons why teams fall away in the second half of the season. Below is part of the transcript from SBW Episode 19 – you can listen to the whole interview further down. SBW: Dan, you were employed by Derby a couple of years ago – what was your job brief when you joined the Rams? DA: I joined when Darren Wassall had taken up the reigns, it was an exciting time for him. I was brought in to assist him, his coaching staff and any of the players on the psychological side of the game. There was no set remit, the chairman read one of my books and invited me for a chat and I got on really well with Darren. I’d worked with some of the players privately over the previous few years, so I settled in to the routine and went in a few days a week. 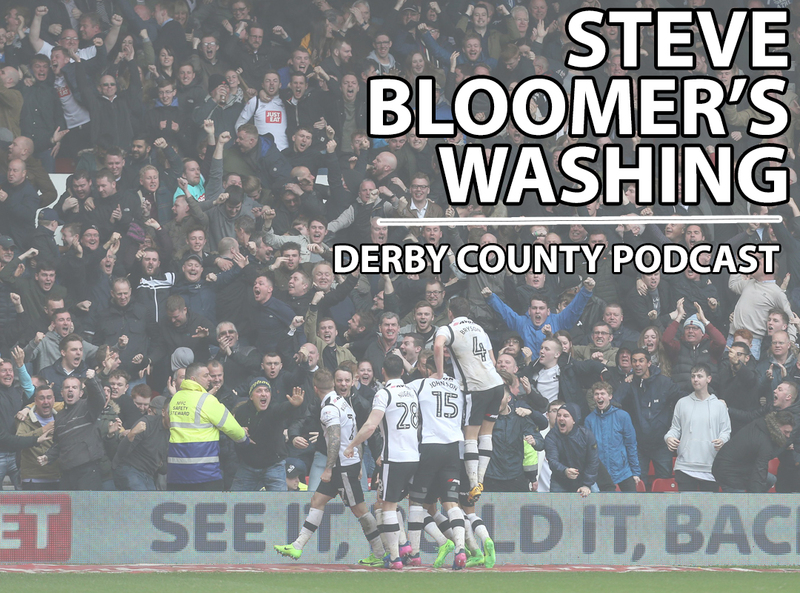 It was a challenging period, because Darren took charge, got Derby into the playoffs, but promotion didn’t quite materialise. I continued working with the Rams the next season under Nigel Pearson and Steve McClaren, so it was a really fun period but certainly an experience everyone learned from. SBW: How did you get on with the players at the time? DA: A great period. I’ve worked in sports psychology for 15 years and it’s been one of my favourite clubs to work for. Whenever you work in football you have a mix – there were several players who were open to it, embrace it and use you all the time, there are some who are more sceptical. I don’t mind that though, it just means you’ve got to be good at your job, and convince them it’s going to help improve them. And you always have the odd player who is cynical, which isn’t nice but it’s part of the challenge. You’ve got a great captain there in Richard Keogh and some really motivated players. SBW: Derby have been known to lose form in February/March – how much of that is down to their mental strength? DA: The closer you get to the promotion/relegation crunch time, the easier it is to play on the back foot, rather than the front foot. The the easier it is to play with fear rather than with freedom, the easier it is to strive not to lose rather than to win. Those two phrases, ‘striving to win’ and ‘striving not to lose’ open up a different catalogue of pictures in players’ minds, a different set of behaviours on the pitch, and that’s what every club has to strive to deal with. When players are playing with fear, they start to play with tunnel vision. Their awareness lessens, they don’t see the 360-degree view, they don’t see the runs of their teammates or the movements of the opposition as sharply or as quickly. Their anticipation slows, their decision-making suffers, so it makes an enormous difference to the quality of players’ football. SBW: How much can players’ past experiences affect their future performances? DA: It’s really important for players and staff on the training ground to have open lines of communication and talk from a language of strength – what we do well, what was it a few when things were going well, the feelings, the thoughts, the behaviours and actions, when we clocked up all those wins. You’ve got to bring that into the organisation and persist with it every single day. You also have to keep players’ mindsets on themselves and the team – avoid looking at others and what they’re doing, and that’s so tough to do.